A Florida woman said to be obsessed with the 1999 massacre at Colorado's Columbine High School has reportedly died after a massive FBI manhunt. Authorities said Sol Pais, 18, made disturbing remarks about Columbine as Saturday's 20th anniversary of the shooting approached and was apparently “infatuated with the perpetrators.” She flew to Colorado on Monday, purchasing a pump-action shotgun after landing, and was considered armed and dangerous before she was found dead, Denver's local CBS affiliate reported, citing a law enforcement source in Clear Creek County. The FBI's Denver office later wrote on Twitter that the manhunt had ended. Ukraine's security service SBU said on Wednesday it had captured a Russian military intelligence hit squad responsible for the attempted murder of a Ukrainian military spy in the run-up to a presidential election on Sunday. The issue of how to deal with Russia, which annexed Crimea in 2014 and backs pro-Russian separatists in eastern Ukraine, is prominent ahead of the vote, with incumbent Petro Poroshenko casting himself as the commander-in-chief Ukraine needs to defend the country. 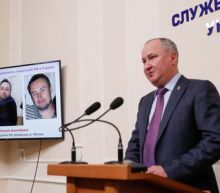 Vasyl Hrytsak, the head of the SBU, the main intelligence agency, told a news conference in Kiev that seven members of the Russian group had been detained and charged and that an eighth person had been detained on Wednesday morning. 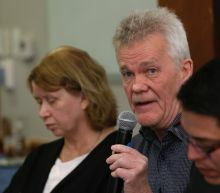 The parents of a Swedish programmer suspected of plotting to blackmail Ecuadorian President Lenin Moreno over his abandonment of WikiLeaks founder Julian Assange made an anxious plea Tuesday for authorities to release their son. 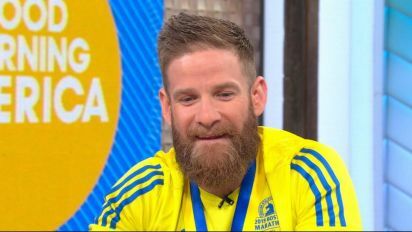 Dag Gustafsson acknowledged that his son, Ola Bini, had a friendship with Assange but said his ties with the hacker who lived in Ecuador's London embassy while evading U.S. and British authorities for nearly seven years ends there. 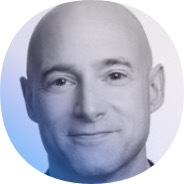 "Ola is a friend of Julian Assange, nothing more," he said, sitting before a screen with an image of his son, dressed in cap and smiling slightly. Hale quickly tweeted that his friend had “zero evidence” for the claim beyond a purported conversation with cathedral staff, and he deleted the original tweet minutes later. But it only took those few minutes for his tweet to become a core piece of proof for right-wing conspiracy theorists who are convinced, without any actual evidence, that the fire was set by terrorists. With one tweet, Hale became sucked into a right-wing media machine eager to both rile up its audience and earn more traffic on social media. 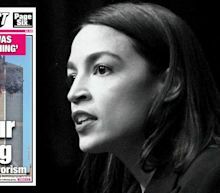 While President Trump repeatedly attacks the New York Times and other purveyors of “fake news,” New York Democratic Rep. Alexandria Ocasio-Cortez is targeting her own media foe: the New York Post. In a Sunday interview with the Yahoo News podcast “Skullduggery,” the freshman New York congresswoman explained why she is endorsing a boycott of the paper organized by local Yemeni-American bodega owners, calling the Post's attack on her friend Rep. Ilhan Omar “beyond the pale. Ever since she was elected last November, the Post has relentlessly attacked Ocasio-Cortez over her progressive views and her opposition to Amazon's plan to move its headquarters to Queens. Donald Trump has taken another step towards reversing Barack Obama's historic rapprochement with Cuba with a measure that earned swift criticism from allies in Canada and Europe. The US announced on Wednesday that it would enable lawsuits against foreign companies that use properties nationalised by the communist government after Fidel Castro's 1959 revolution. The policy shift, which could draw hundreds of thousands of legal claims worth tens of billion of dollars, aims to put pressure on Cuba at a moment when the US is demanding an end to Havana's support for Venezuela's socialist president, Nicolás Maduro. The building itself also contained one of America's largest Porsche collections according to the Charlotte Observer. The rather unassuming red brick building didn't boast about the treasures within, but video from the Charlotte Observer revealed a huge hole in the roof and the charred remains of what appears to be a 550 Spyder amongst other less identifiable wreckage. Bob Ingram, a retired pharmaceuticals executive, and his wife reportedly started the collection in 1998 after a visit to the Monterey Historic Automobile Races. 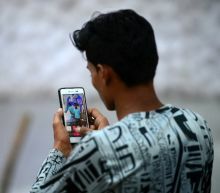 The Instagram accounts of several Iranian Revolutionary Guards commanders have been blocked, the Tabnak news website reported Tuesday, with the photo-sharing website saying it was complying with US sanctions. The United States announced on April 8 that it has placed the Islamic Revolutionary Guard Corps, the ideological army of the Islamic republic, on their list of "foreign terrorist organisations". Tabnak, a site close to Iranian conservatives, said Instagram blocked the accounts of Major General Mohammad Ali Jafari, Major General Mohammad Bagheri and Major General Ghassem Soleimani. The metal rooster which perched on the top of Notre-Dame's spire was found in the rubble on Tuesday and appears to have been spared the worst of the fire. It is dented but properly restorable,” a Ministry of Culture spokesman said of the rooster, which contains three relics that may also have survived the blaze. As the rooster was partially crushed when it fell off the spire, the extent of the damage to its contents is unknown. CHICAGO — “Empire” actor Jussie Smollett purposely attempted to mislead police by falsely describing alleged assailants who he said attacked him on a cold January night as white men, the city of Chicago claimed in a civil lawsuit filed Thursday. The allegation comes in a lawsuit filed by the city, which is attempting to force the actor to pay back more than $130,000 they say the police department spent in overtime costs to investigate a supposed hoax attack set up by the actor. Smollett, 36, who is black and gay, allegedly hired two brothers — Abel and Ola Osundairo — to stage an assault on him and make it look like a hate crime, police and prosecutors say. What do Kim Foxx's text messages about the Jussie Smollett case reveal about our criminal justice system? The North's official KCNA news agency quoted senior foreign ministry official Kwon Jong Gun as warning that no one could predict the situation on the Korean peninsula if the United States did not abandon the "root cause" that compelled North Korea to develop nuclear weapons. 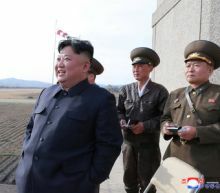 The statement came shortly after North Korea announced that leader Kim Jong Un had overseen the testing of a new tactical guided weapon, which KCNA said has a "peculiar mode of guiding flight" and "a powerful warhead". It was the North's first weapon test since talks in Vietnam between Kim and U.S. President Donald Trump in late February broke down over conflicting demands by North Korea for sanctions relief and by the United States for North Korea to abandon its nuclear program. A man accused of throwing a 5-year-old boy from a third-floor balcony at the Mall of America said little Tuesday during his first court appearance but appeared lucid and followed the court's directions. 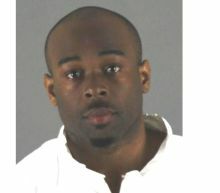 Emmanuel Aranda, 24, of Minneapolis, is charged with attempted premeditated first-degree murder in Friday's attack. The child plunged almost 40 feet and is fighting for his life in a Minneapolis hospital with head trauma and multiple broken bones. 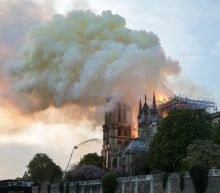 Air France-KLM is doing its part to assist with the reconstruction of the Notre Dame Cathedral following the devastating fire on Monday. "All Air France and Air France-KLM teams around the world have been deeply affected and saddened since (Monday)," the airline said in a Tuesday statement. 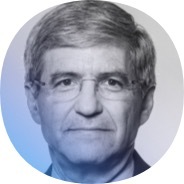 "Moreover, in the days ahead, the Air France-KLM group will set up a voluntary donations fund for its customers to help finance the reconstruction work," the airline added. Federal safety officials are investigating an American Airlines flight in which the plane tipped in a strong wind and a wingtip clipped a runway marker during takeoff last week from New York's Kennedy Airport. 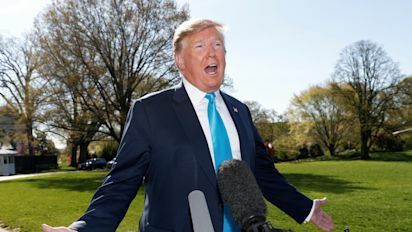 Mueller report: After long-awaited release, what comes next for investigations into Trump? The ongoing Democrat-led Congressional investigations into Donald Trump are determined to unravel the conspiracy behind the stealing of Clinton campaign emails and the alleged part played in that incident by WikiLeaks and its founder Julian Assange, according to diplomatic sources. The inquiry by the US House of Representatives Intelligence Committee is said to be particularly focused on how the emails, as well as those of the Democratic National Committee, were hacked and made public, gravely damaging Hillary Clinton's campaign and helping Donald Trump to the White House. The report into Trump and Russia by Special Counsel Robert Mueller is due to be made public, with redactions by Attorney General William Barr, on Thursday. A 20-year-old college student plummeted 100 feet to her death off a cliff during a school trip last weekend. Although it is considered one of Arkansas' most photographed spots, Hawksbill Crag has been the site of multiple deaths by unintentional falls in recent years, including that of a 19-year-old University of Arkansas coed in 2016. Briar Cliff University released a statement on Saturday following Norton's tragic death. A group of parents are suing a prominent Washington D.C. synagogue, alleging one preschool teacher sexually abused eight toddlers for more than two years and the school ignored the warning signs. The 239-page civil lawsuit, filed anonymously by eight parents in Superior Court for the District of Columbia on Monday evening, alleged that the toddlers between the ages of two and four, “were subject to systemic and regular sexual abuse on school property” by an assistant teacher at the Washington Hebrew Congregation. The alleged abuser, Jordan Silverman, joined the preschool in 2016 after a career as a Vermont photographer. The U.S. Justice Department has told T-Mobile US Inc and Sprint Corp it has concerns about their proposed $26 billion merger in its current structure, sources familiar with the matter said on Tuesday, although no final decision has been made. Sprint shares fell about 9 percent after the bell as investors increased bets the deal would not be completed following a Wall Street Journal report the merger is unlikely to be approved as currently structured. Shares of T-Mobile fell 4 percent. Syria and Iran said Tuesday the United States is waging "economic terrorism" against countries that have different opinions and should pursue its aims through diplomacy instead. Syrian state news agency SANA quoted President Bashar Assad as saying the Trump administration's decision to designate Iran's Revolutionary Guard a terrorist organization was an "irresponsible move." Assad spoke at a meeting with Iran's visiting Foreign Minister Mohammad Javad Zarif, who said the U.S. move was "stupid." A leader of Germany's far-right AfD party on Tuesday tried to link the devastating fire at Paris' Notre-Dame cathedral to rising "intolerance" against Christians in Europe, although French investigators believe the inferno was an accident. In a tweet, Alice Weidel, the parliamentary group leader of the Alternative for Germany, the country's largest opposition party, implied a connection between Monday's blaze and previous anti-Christian "attacks" in France. "The Observatory on Intolerance and Discrimination Against Christians in Europe speaks of a significant increase," she added, including a link to a March article in a German Catholic magazine headlined "Catholic churches desecrated across France". Toyota unveiled a redesigned version of its Highlander SUV on Wednesday as competition heats up for three-row family vehicles. The 2020 Highlander is making its debut at the New York Auto Show. Toyota did not release pricing for the redesigned Highlander, but the 2019 model ranges from $31,330 to $47,010, according to car-buying advice site Edmunds. 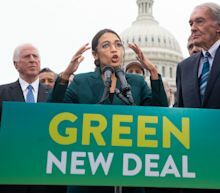 Alexandria Ocasio-Cortez, D-N.Y. says the biggest mistake she's made in her first four months as a freshman congresswoman was how the rollout of the so-called Green New Deal — her ambitious environmental plan to combat climate change — was handled. "It was done in a way that it was easy to hijack the narrative around it," Ocasio-Cortez said in an interview with the Yahoo News podcast "Skullduggery" on Sunday. The parents of a Swedish programmer who was an early ally of Julian Assange and Wikileaks and who has now been accused of trying to blackmail Ecuador's president, is facing threats in jail, his parents have claimed. Ola Bini, 36, was arrested last Thursday in Ecuador, hours after Mr Assange was detained by police in London who entered the Ecuadorian embassy. Mr Assange was charged with skipping bail by a London judge, while the US charged him with conspiring with whistleblower Chelsea Manning to hack a US computer.